"Walter Stroup is a leading authority on GLMMs for applied statisticians, especially as implemented in the SAS programming environment. 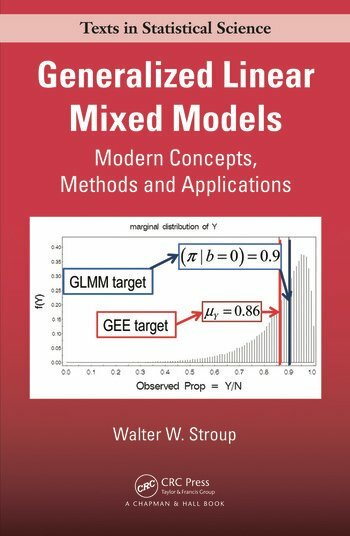 He offers a thorough, engaging, and opinionated treatment of the subject … I found the ‘fully general’ GLMM approach to modeling and design issues (Chapters 1 and 2) to be quite illuminating. … it is best to use this text in conjunction with SAS. Prospective readers without current access to SAS will be pleased to know that a reasonable level of access to SAS is now available at no cost to students and teachers on the web … If the reader prefers to work with GLMMs in the free, powerful, and state-of-the-art R environment, then he/she should supplement this text with some others that are built around R. I myself had good luck using Stroup’s text along with Julian Faraway’s two books Linear Models with R and Expanding the Linear Model with R, both published by CRC Press." 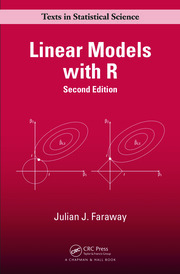 "… for SAS users concerned with the analysis of trials, it is a very good resource. There are excellent discussions on many important concepts such as likelihood ratio testing and model selection criteria. PROC GLIMMIX is a powerful procedure implementing the rich family of GLMMs, and this book gives coverage to a wide variety of models with ample software illustration."